Making nutrition fun for you and your little one! 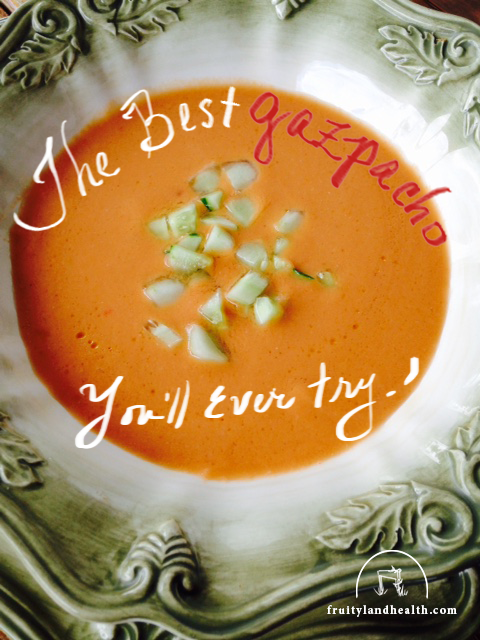 THE Best Gazpacho Recipe you’ll ever try. I realize that’s a bold title, but I wouldn’t put it there if I couldn’t back it up! This cold Spanish soup is a healthy must-have for hot summer days. It’s super easy to make and makes an elegant first course or a simple refreshing treat after playing in the pool. A convenient dish to have on hand, you can make it hours in advance and store it in the fridge. Most importantly, kids love it! We had plenty left over and within the same day, Oliver, Alexandra and Peter demolished it. I think it has an extra attractive quality to them since no heating is necessary. Of course, the amounts of the ingredients can increase or decrease depending on your taste & what’s available in your fridge. Enjoy every sip even more knowing one serving is full of Vitamins A, K & C.
Put in about ½ cup of cold water into your blender. Throw all the other ingredients in and process until smooth and creamy adding a little bit of water at a time if it is too thick. 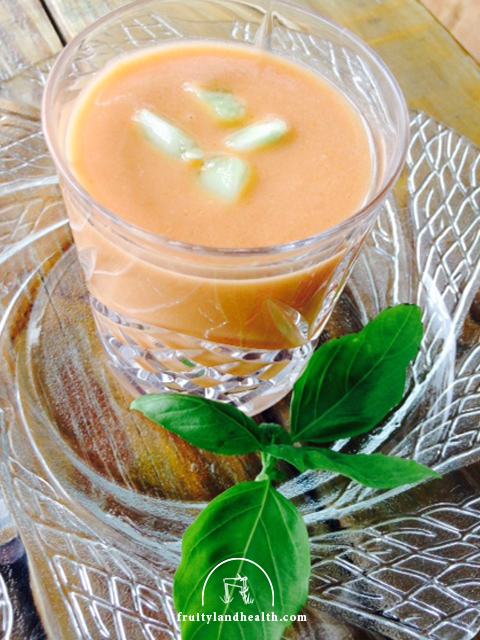 Make sure that the blades don’t heat up gazpacho, so process slowly and then turn up to smooth out further. Put your finished mixture through a sieve. 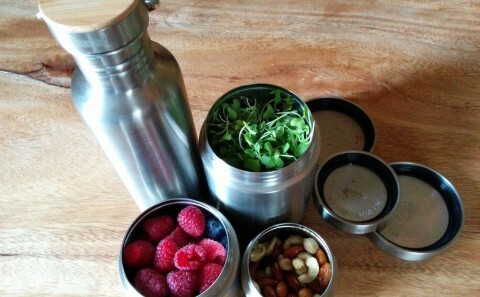 Pour into a carafe and store in your fridge. Garnish with a drizzle of good olive oil, small pieces of cucumber, thinly sliced green onions, and little bits of chopped tomato, or just throw in an ice cube and serve in a glass. Enjoy! This soup is high in fiber, protein, vitamin A, C, iron, folate, calcium, magnesium, and phosphorus. Because lentils are high in fiber, they provide you with stable energy levels. Make it a complete protein meal by serving it with wild or brown rice so that you have all the nine amino acids, essential to dietary needs. I grew up eating this soup hearing about the great benefits that came with it, making me love it that much more. 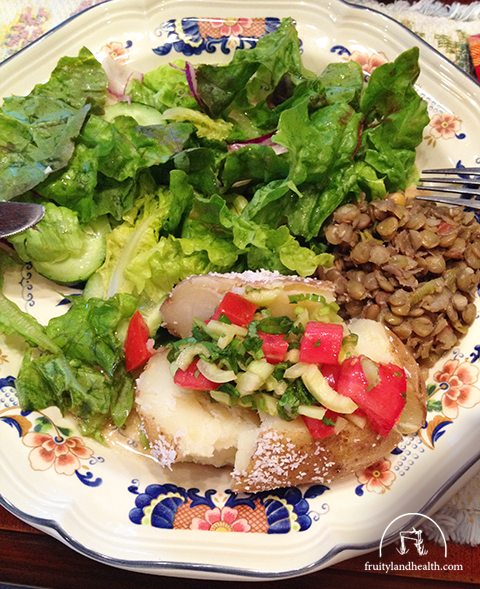 To this day it’s one of my favorite go-tos when I’m craving a filling, yet light, meal. Here’s my mom’s great recipe straight from her, a nutritionist, talented author and fantastic cook! 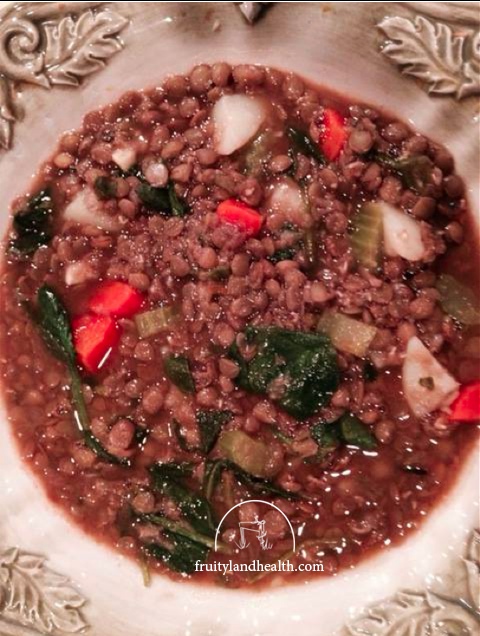 Prepare the lentils – In a large pot, boil the dry lentils in 4 cups of water uncovered. After they have been boiling for 5 minutes, remove the lentils and drain the water. Put the lentils back to cook with 8 cups of fresh water. Do not cover the pot. Boil them until almost tender using medium heat. Then add potatoes, carrots, celery, turmeric, paprika, cilantro, parsley, garlic, tomato paste, onions and salt to taste. Once the potatoes are tender, add the spinach and simmer for 5 more minutes. You wouldn’t end a friendship if they liked Kanye West. Arguably you should could, but you know better. You know that ending that friendship would mean you’d also lose their (usual) insight-fullness, kindness and the love and laughter that comes with being around that person. Yes you hate Kanye, but focusing on that single aspect would distract you from everything else, good and bad, that makes up your friend’s character. After all, we’re complex beings. People’s personalities are complex and their physiology is arguably more so. To illustrate this, it was only until the end of last year that a team of scientists humbly published an attempt to estimate the number of cells in the human body… a whopping 37.2 trillion. A possible 37.2 trillion cells, reacting, communicating and fulfilling sophisticated jobs simultaneously throughout the day, that we’re just beginning to understand. Take adipose (fat) cells for example, that vary in type and behavior. Some make up healthy brown fat and others collect under your abdominal muscles, coating and suffocating organs like a ticking time-bomb. Fat isn’t only responsible for sabotaging bathing suit season but also takes part in the regulation of hormones such as insulin and those that tell the brain whether or not you’re full. Macronutrients (fiber, protein, fat, and carbohydrates) dominate health and nutrition media because they are extremely important. They are crucial to providing us with energy in a system called the metabolic system. However, an increasing amount of research is pointing to the promise of better health through micronutrients including phytonutrients. While macronutrients are critical for our metabolic system (obtaining, processing, using and storing energy), micronutrients are critical for a lot of other functions. Your metabolic systems is one of many systems and overall health is accomplished by ensuring that all of your body’s systems are balanced and working properly. For example, antioxidants are important since free radicals are constantly being produced in our cells. Another important example is the immune system. Macronutrients might play a marginal role in your body’s immune system while micronutrients are critical and central to an efficient, functioning immune system. If you’re reading this, you probably already know that these imbalances are thought to be the root cause to most modern diseases such as cancer. Ignoring the details and the Whole Truth. If you’re still reading this, your patience by now is probably wearing thin. ‘BUT What IS the connection between pomegranates and Kanye West?? !’, you might be asking. We evaluate people around us and hopefully take all of their qualities into consideration. Why not apply the same principle to something as comprehensive as nutrition? Sugar, a subcategory of macronutrients under carbohydrates, is a specific chemical found in food. It’s today’s new villain. We thought we had identified fat as the monster but after our waistlines continued to grow, we needed a new suspect. Like the boogieman, it hides in unsuspecting places, tempts us with ice cream, and casts a powerful spell over us. There is a lot of truth in this message but sugar is only one characteristic within a food. Remember that good friend who liked Kanye? Judging a food based on a single component is a one dimensional way of thinking that could be detrimental to your health, specifically to all of those complicated systems that depend on diverse nutrients in large, frequent quantities to work properly. Pomegranates, for example, have A LOT of sugar! Seeds from 1 whole pomegranate have almost 40 grams of sugar. Equivalent to about 1.25 cups of ice cream. However, pomegranates are also full of vitamins, minerals, fiber and antioxidants that boost not just one system but many systems. 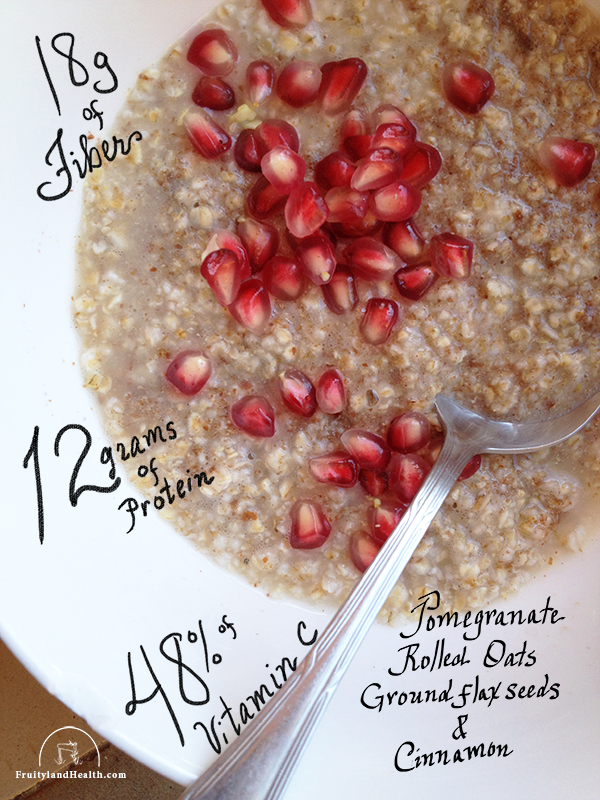 Pomegranates is one of a handful of foods that have an extremely important phytochemical. The high fiber content also slows down the rate of sugar absorption, making it difficult to compare to refined sugar. Cutting out sugar from your diet will certainly make you lose weight and even cutting back on fruits can give you a boost in the beginning. If your looking to reduce the sugar in you and your family’s diet, having half of a pomegranate will give you the benefits and take the sugar amount to less than 20 grams. Table sugar, on the other hand, has no nutritional value whatsoever. Absolutely no redeeming qualities. None. This is a complete/whole analysis of table sugar. Pomegranate is considered to be The most antioxidant dense fruit. Judging it then based solely on it’s sugar content might rob you of all the other qualities pomegranates have. Applying this evaluation method to the latest diet trend will empower you and not leave you and your family vulnerable to incomplete, misleading information. The key is whole, critical analysis. Macronutrients have dominated our view on what constitutes health. How much fat does that have? Am I getting enough protein? It’s only been the past 10 years that we’ve started to really consider the significance of micronutrients. While macronutrients are essential to living, more and more experts are looking to vitamins, trace minerals and phytochemicals to truly achieve optimal health and prevent today’s most common ills and diseases. This is just a small, simplified list that continues to grow since we’ve just started to discover their benefits. Here are 5 easy tips and tricks to get the most nutrients into your diet. Why? The longer the cooking time, the less nutrients. Raw vegetables, in general, have the highest nutrients but lightly steaming them can increase your overall vegetable intake and nutrient absorption. Steamed vegetables such as broccoli, for example, are easier to chew (and digest) than raw broccoli, making it easier for your body to absorb more nutrients. An extreme example of this would be flax seeds. These miracle seeds are wonderful, unfortunately, our teeth can’t chew through the tough shell which means it’ll likely pass through the system intact without releasing any of the benefits inside its shell. Grinding flaxseeds (a coffee grinder works perfect) allows us to access and absorb these nutrients. How to: Bring water to a boil, add the vegetables, cover, reduce heat and simmer for the least amount of time until tender. Why? Phytochemicals (only found in plants) are often expressed in the plant’s color. Not only is adding color to your dishes visually appealing, expanding the spectrum of colors will ensure you’re getting a wide range of nutrients. 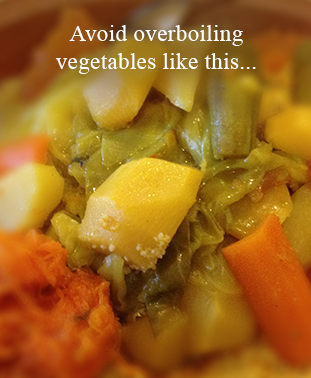 This is another reason why overcooking should be avoided since the lack of color indicates the loss of nutrients. 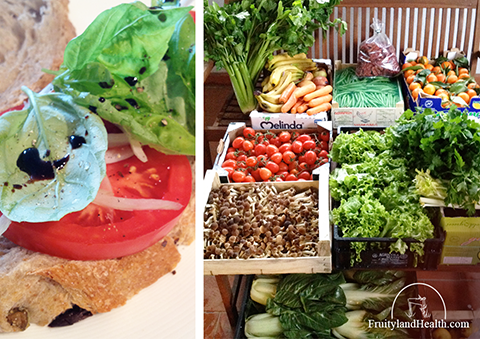 How to: Make it a habit to include colorful foods such as purple cabbage, carrots, red peppers and greens in each meal. The more colorful, the more variety, the better! Why? Seasonal foods tend to be more nutrient dense. If you don’t have access to seasonal foods or a farmers’ market, frozen fruits and vegetables are a surprisingly good option. The average nutritional loss is 5% for freezing and foods are usually frozen at their peak ripeness, which = more nutrients. How to: Thaw in the fridge or kitchen counter before steaming to avoid excess heat and cooking. Why? 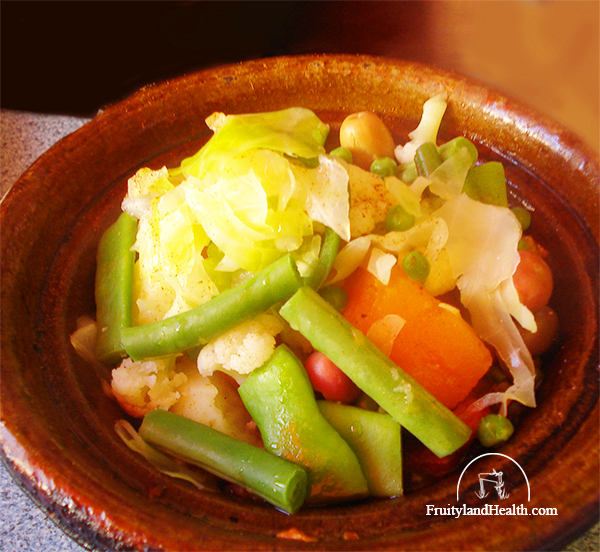 Vitamins and minerals leach into the water used to boil or simmer vegetables. How to: You can either use the least amount of water possible so that the vegetable reabsorbs the water or use the remaining liquid in sauces or soups. Why? If you find yourself starving after having just a salad it could be because a slice of tomato and iceberg lettuce isn’t cutting it… nor should it. This is a common problem for those trying to increase whole, plant foods in their diet. Healthy fat from raw, unprocessed plants can help boost your energy, keep you satisfied, provide you with essential nutrients and increase their absorption. 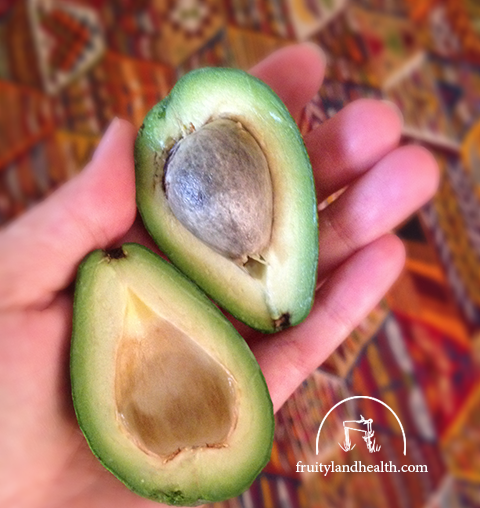 How to: Add these to your daily diet – Avocados, seeds, raw nuts, sesame seed paste (tahini), coconut, and olives. *Tip: Keep a few mason jars on your dining table with different seeds such as hemp and pumpkin seeds next to the salt and pepper. This way you can easily sprinkle your food or salad to enhance the flavor and reap the nutritional benefits on a daily basis. Check out this great recipe from Kimberly Snyder that incorporates most of these tips to make a delicious, easy, decadent meal for less than $6 and under 10 minutes to make! I discovered this drink in a small colorful restaurant tucked away in an old, windy city by the Atlantic. It was listed on the menu as “Advocate”, the mistranslation making us giggle (because we’re immature) and because we love to “advocate” the awesomeness of avocado (because we’re also dorks). 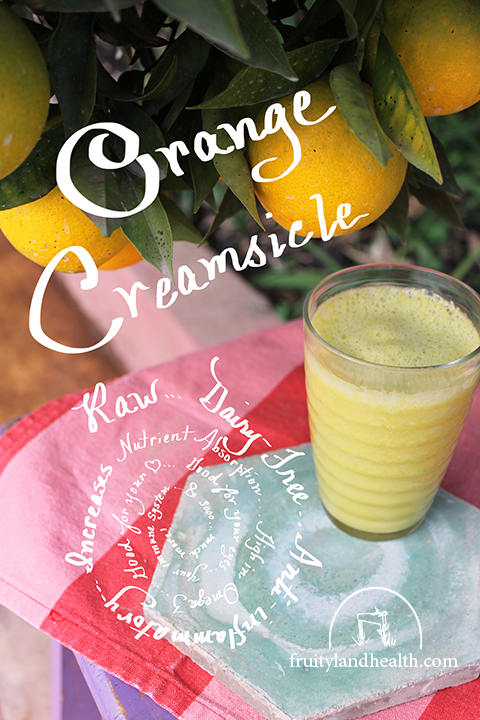 The drink’s ingredients were simple – fresh squeezed orange juice & avocado. Avocado sometimes gets a bad rap because of its fat content which is a shame because there is so much more to this perfect little package. Here’s just the short, summarized list of all the things you and your family can benefit from by making avocado an addition to daily meals. This drink is just one of many! Carotenoids are a class of phytochemicals normally found in bright red and orange plants such as carrots and tomatoes. Carotenoids are essential in growth and development, boosting your immune system and can help reduce the risk of heart disease. The greatest concentration of carotenoids is in the dark green flesh right under the skin so don’t forget to scoop that part out! That’s it! Blend & Enjoy! Happy Tuesday! It’s getting chilly here on the farm so I’ve got my warm sweater on, sipping Moroccan mint tea while looking at the front garden’s palm trees and gardenias. Sounds like heaven right? It is (most of the time) but today I realized that for the first time in my life I’m not going to experience fall in the East Coast. Fall for me is as much about the color of the leaves changing as it about going to the farmers’ market. There’s something about being bundled up in the chilly weather, hunting for treasures in a sea of color and all the possibilities of great meals to look forward to that make farmers’ markets in the fall so special. If you’re reading this, you probably already know the great benefits that come with supporting farmers’ markets. 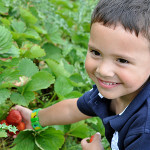 Aside from being better for the planet, it’s a great chance to get your kids involved and emotionally connected with healthy seasonal foods from an early age, not to mention an opportunity to expand their taste palate. Variety: Supermarkets (that have more middlemen and overhead costs to cover) decide which produce and varieties to offer based on efficient yield, profit margin, consistent appearance (those apples need to look perfect and identical) and shelf-life, among other things. Having so much overhead cost and extra transportation time doesn’t leave much room for prioritizing taste and nutritional value. 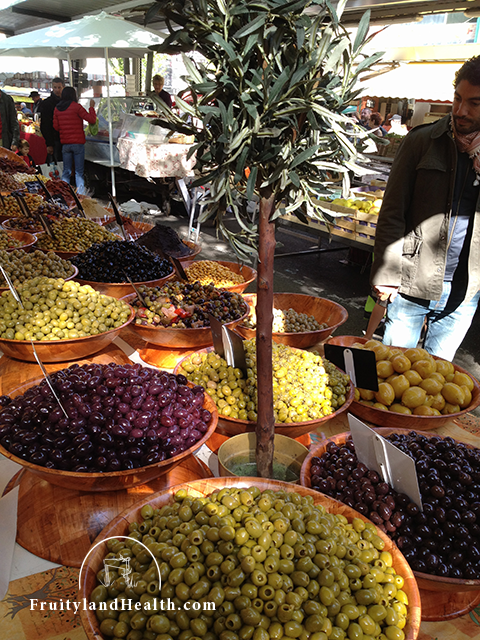 Farmers’ Markets do, however, have that luxury. Peak ripeness is when nutrients are at their highest. The earlier the plant is picked the less nutritional value it has. Harvesting prematurely is necessary when foods have to travel far to extend shelf-life. Any damage done to a plant can lower its nutritional value. Bruising is probably the most common problem which is hard to avoid with industry practices such as mechanical harvesting and moving them with trucks and forklifts. If a bruise can affect the nutritional value, you can image what cutting can do. The second the plant is altered, it starts losing its nutrients. That why it’s best to consume fruits and vegetables sooner than later once you’ve ‘processed’ them somehow (cut or blended). Buying pre-cut foods can save time but it does affect the value. However, if that’s what works for you, pre-cut veggies are certainly better than no veggies! You can work around this by eating your pre-cut foods earlier in the week or ideally the same day. Plants start losing their nutritional value from the time they’re harvested. Also, the longer it takes to transport, the harder it is to prevent damage along the way. Getting there: Saturday morning rolls around, my comfy sweats and Netflix are enticing me to stay in. “What time is the market open ’til?” My husband and I have a leisure debate about that until we know it’s too late to go. ‘Next week’ we say. 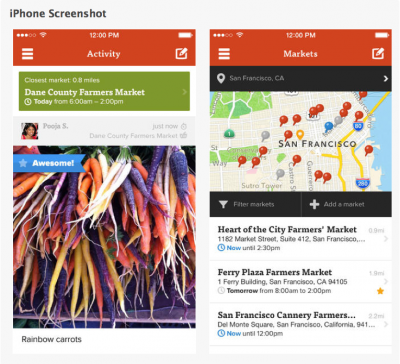 Farmstand app no longer lets us get away with that. It tells you where the closest market is and what time they’re open. Did I mention it’s free? What’s in Season? 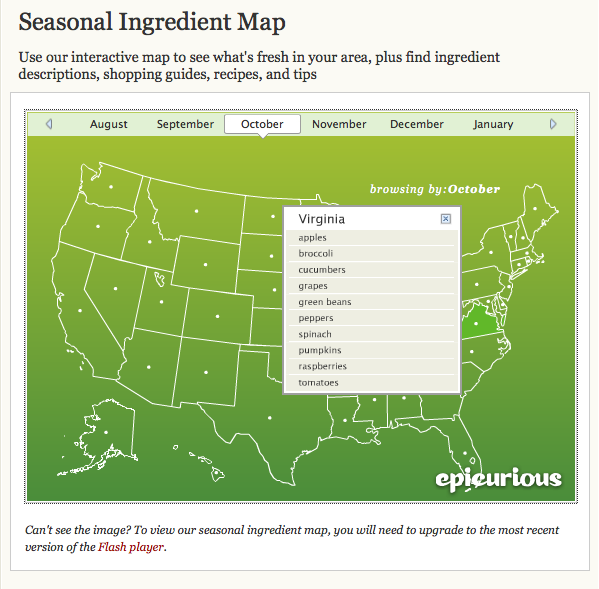 Check out this great interactive map from Epicurious. It allows you to easily select your state and month to give you a heads up for what’s in season. LOVE! Now that you’re fully armed with all this info., grab your coats, enjoy every second of the market, every sip of hot cider, knowing that these are small yet invaluable steps to keeping your children happy and healthy! **This is a summarized version of the article. If you do have the time, it’s well worth reading through it. While the controversial debate about plastic continues to unfold, I decided to incorporate longer lasting materials in our kitchen that were better for us and the environment. 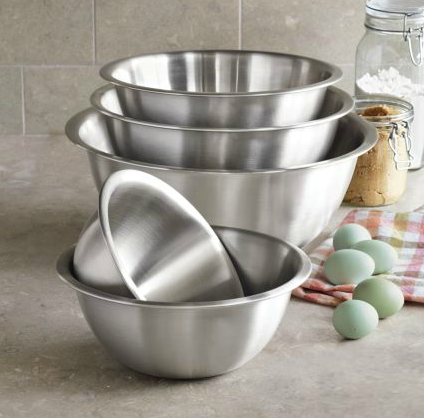 Glass is beautiful, classic, easy to clean and non-odor-absorbing; it was the perfect fit… until we needed a larger bowl for our salad (I like to leave my workouts at the gym) or we dropped the first of many glass items on the kitchen floor. 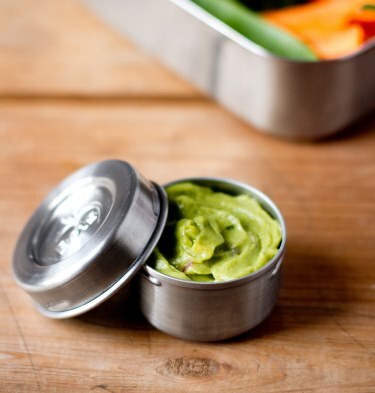 Stainless steel has proven to be more and more an indispensable material in our quest to eat healthier the easy way. The only con is the price, but, considering its lifespan, it’s arguably cheaper than replacing plastic and glass. Another thing to be aware is the quality. 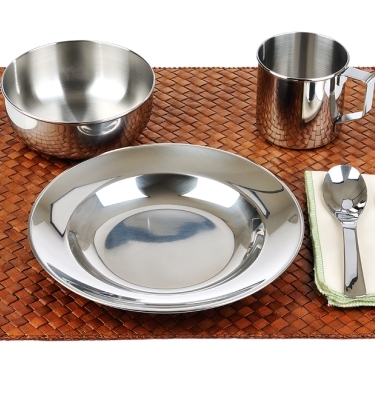 Amazon is full of stainless steel products that are not high-grade or only use stainless steel as a casting instead of making the entire product stainless steel. I’ve read reviews complaining about peeling and chipping… Yikes! All you need is love daikon. 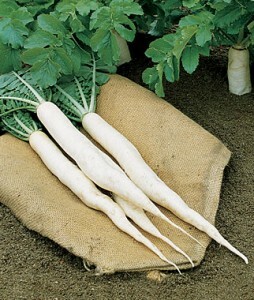 One 7 inch long daikon (consumed raw) will give you 124% of your vitamin C for the day. 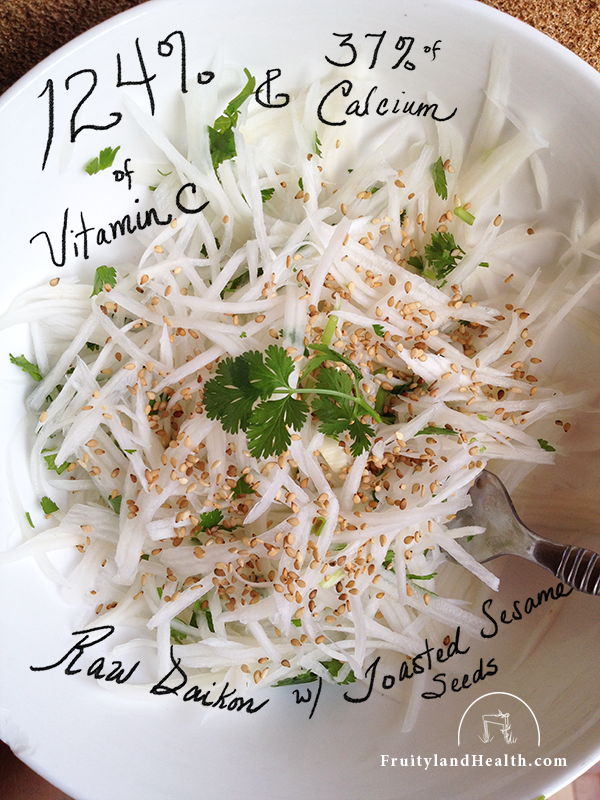 The added toasted sesame seeds will boost the goodness to 37% calcium and 31% of your iron and folate daily requirement. I used to ignore this wanna-be white carrot until I came across that percentage when I was researching vitamins. Vitamin C is very sensitive to cooking so it’s best consumed raw. It’s also a vitamin that depletes quickly so topping off is always a good idea especially with cold and flu season coming up. A third of your folate, iron and calcium condensed in a single bowl isn’t the only good news though. Did I mention it tastes DELICIOUS!? I used a julienne peeler to get perfect slivers of these yummy crunchy bits. 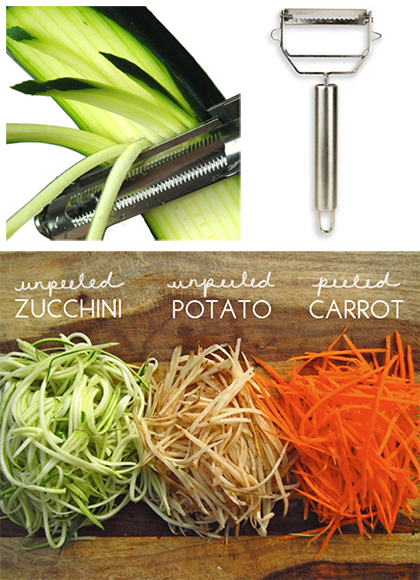 If you don’t have a julienne peeler, the $10 is certainly worth every penny. Especially for crunchy vegetables (cucumber, radish, carrots, etc. ), being able to create uniform thin slices can really make a difference in saving time and getting the best results. In a bowl, mix the following ingredients for a treat you and your children will love as a snack or served over any Asian-inspired dish you’re serving for dinner. The raw garlic gives it that spicy kick to it and the earthy roasted flavor of the sesame seeds meld all of the flavors together in perfect unison. I hope you enjoy it! ****These nutrients are based on just the daikon and toasted sesame seeds since the other ingredients are optional and the amount varies depending on individual preferences. Our First Tuesday Tip of the Week! Tuesday tips are weekly, bite-size tips that can help boost you and your family’s health. Pomegranates are in season and while some of you may or may not know this, I happen to live on a fruit and vegetable farm in Morocco, so it’s been quite the feast over here. We’ve watched the fields of this ancient fruit change throughout the year. The blossoms are an indescribable red-orange color and while you’re sad to see them go, the fruit they bare is such an exciting treat for everyone here on the farm. I normally enjoy the seeds with watercress and lemon juice or paired with eggplant but after doing some research and discovering the incredible health benefits of pomegranate, I started looking for more ways to incorporate these delicious, garnet-colored gems. 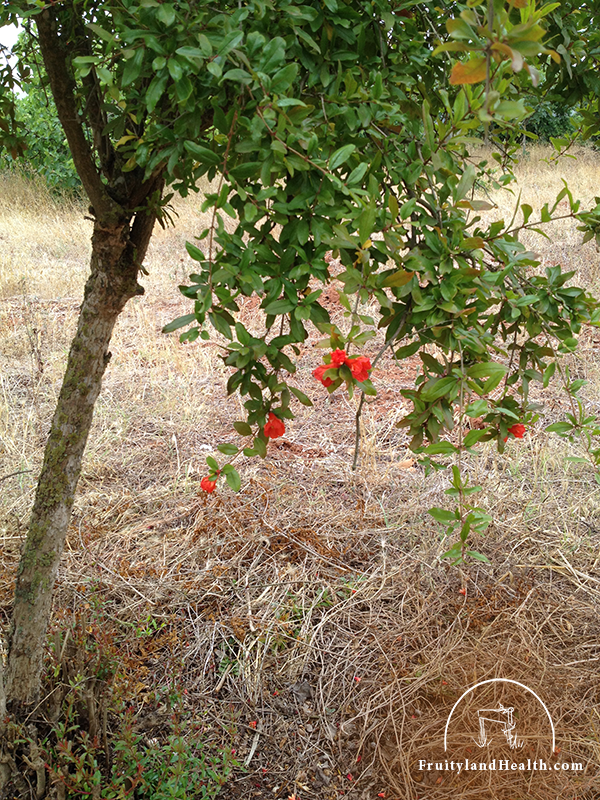 Removing the seeds yourself can save money and increase the nutrient value of the pomegranate. You can check out how to do this here. 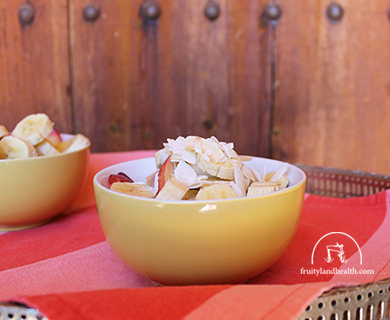 This recipe is a quick and easy way to get a lot of great nutrients packed into a little bowl of happiness. I hope you enjoy it! A blog devoted to helping keep you and your family happy and healthy.